parliament’s right to have a meaningful vote on the European Union withdrawal bill. News of the prime minister’s setback provoked a mixed response among the leaders of 27 member states arriving for an EU summit on Thursday, with concerns that it could complicate Brexit negotiations. Arriving later at the summit, after attending a memorial to those who died in the Grenfell tower fire, May said her government was still on course to deliver Brexit. “I am disappointed with the amendment but actually the EU withdrawal bill is making good progress through the House of Commons,” she said. 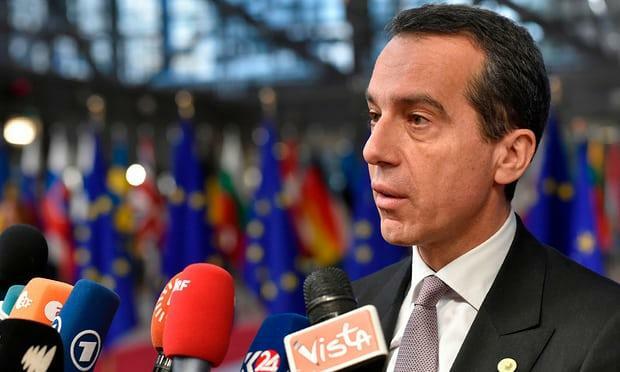 However, Kern told reporters he held out hope that Britain would change its mind about leaving the bloc. MPs voted 309 votes to 305 on Wednesday night to limit ministers’ power to make sweeping changes to the law before parliament has approved a Brexit deal. May is expected to explain to EU leaders over dinner on Thursday night how the defeat will impact on her ability to negotiate. Xavier Bettel, Luxembourg’s prime minister, said he respected Wednesday’s vote but added it “doesn’t help a lot” given the need for swift decisions from Downing Street in the second phase of the negotiations on trade and a potential transition period. The EU leaders are expected to rule at a meeting on Friday morning that sufficient progress on the first phase of Brexit talks has been made, to allow the talks to widen. The Dutch prime minister, Mark Rutte, whose country is an advocate for a close relationship with the UK post-Brexit, was among those who praised May. But he called on her to swiftly set out a vision of the future to allow substantive talks on trade to start. Earlier in the day Danuta Hübner, a Polish MEP who chairs the European parliament’s constitutional affairs committee, said the Commons vote would change little if MPs were given a vote after October 2018, as formal negotiations will have been completed. EU negotiators have long said Brexit negotiations must be completed by October 2018 to allow time for the ratification of the treaty before the UK’s departure day on 29 March 2019. The six-month window from October 2018 to March 2019 is intended to allow the treaty to be translated into the EU’s 24 official languages and for it to be scrutinised by committees in the European parliament, before the final plenary vote.